Alan King, the comedian and actor, once quipped, “the other day my house caught on fire. My lawyer said, 'Shouldn't be a problem. What kind of coverage do you have?' I said fire and theft. The lawyer frowned. 'Uh oh, wrong kind of insurance. Should be fire OR theft. '” Or so the story goes. 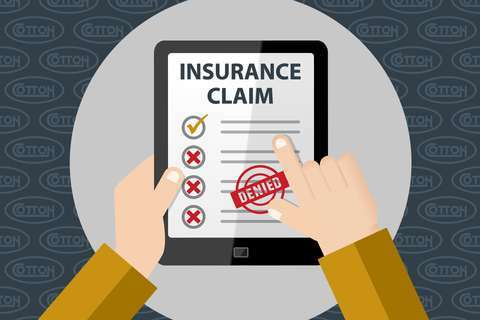 Insurance policies are truly claims policies. Insurers pay their premium with the anticipation that the claim will be paid when the loss occurs to their business or property. Yet many times, that is not the case. You already know that Cotton will be there for you in an emergency, but did you know that Cotton will also be there for you when you’re ready to spruce up your business? If you’re looking at aging decor or spaces that no longer work for your growing company, we also shine at construction projects and quality interior renovations. Two years in a row of destructive hurricanes have proven that having a business continuity plan is vital for the health and success of any organization. Disasters come in all shapes and sizes, anywhere in the world, and any iota of preparation can save lives and minimize disruption of your operations. How long can your business survive an operational interruption? When was your corporate emergency plan developed? Does your business have an alternate operations center if your primary workplace becomes inaccessible? What would happen if you lost temporary access to your company’s financial assets? Are all hazardous chemicals contained in compliance with current health, safety and environmental standards? According to the National Fire Prevention Association, faulty electrical equipment is the cause of 40 percent of Christmas tree fires. Make sure there are no exposed or frayed wires, loose connections or broken sockets on your Christmas lights. And be careful not to overload your electrical circuits. Fireplaces are cozy, but they need to be used carefully. 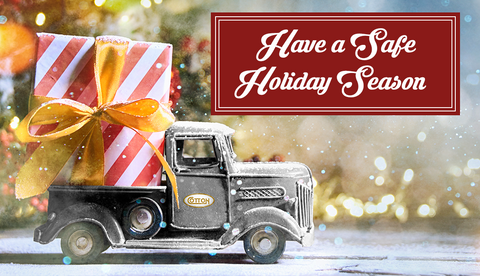 Get your fireplace cleaned and inspected for improper venting every year. Some decorative holiday plants can be poisonous and should be kept out of reach of children or pets. This includes poinsettia, mistletoe berries, holly berry, and Jerusalem cherry. As winter approaches, it's time to prepare your business for cold weather and storms. In addition to checking windows for leaks and ensuring your heating system is functioning properly, you should give some thought to your roof. Roofing professionals advise businesses to get their roofs inspected not just once, but twice per year - ideally in the spring and fall. By doing so, you protect your company’s assets, ensure the comfort of your workers, and prolong the life of your roof. Gather all of your roofing documents into a file to easily access to all of your roof’s information. This will help you keep up with routine maintenance, repair history, warranty information and all of the details of your roof. Don’t let your roof’s information retire along with your facility manager! 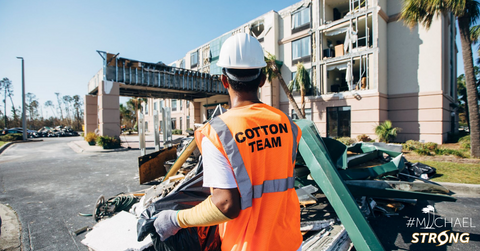 The Cotton Team cannot express enough how deeply sorry we are for any losses and we recognize how hard the struggle will be to rebuild from Hurricane Michael. Many have lost their loved ones, homes, belongings, schools, businesses and their livelihood. After seeing the storm’s devastation first-hand, we know how hard the struggle will be to rebuild, but we want to extend a heartfelt message of hope. Cotton is in the region and has mobilized a Command Center in Panama City Beach. We have supplied public and private sectors with temporary facilities, backup power generation, catering, and emergency food services, as well as other logistical support. Furthermore, we are providing the necessary support to our clients in the region by restoring, remediating and reconstructing roofs and structures quickly. 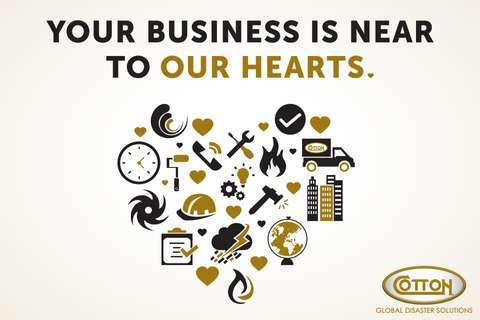 LOOK for places fires could start: Take a comprehensive look around your business. 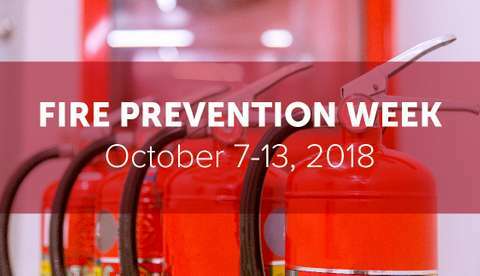 Identify potential fire hazards, particularly your heating system and any kitchen facilities, and make sure you have adequate fire extinguishing equipment. Furthermore, pay close attention to appliances that have heating elements and make sure their piping and connections are new and maintained. It has been one year since Hurricane Harvey wreaked havoc on the lives of those living on the Gulf Coast, including the greater Houston area. While the region has shown its strength and resiliency, many are still in the process of healing, recovering and rebuilding following the devastation. Education is a sector that was hit hard. Many school districts in the region were devastated by the storm, closing their doors and relocating for a period of time while also focusing on educating their students. One such client was Bloomington ISD in Victoria County, Texas. Located just 40 miles from the coast, the district’s schools sustained massive damages resulting from the storm and had to undergo a large-scale remediation operation. 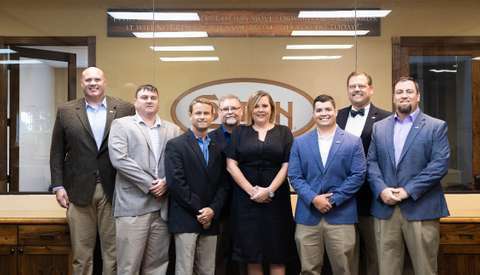 Cotton was grateful to have the opportunity to help the school district through this tough time. What made the project the most rewarding was the response and gratitude we received from our client. As Hurricane Florence’s destruction is far from over, please know that Cotton Global Disaster solutions have all who are in the path of the storm in our thoughts and prayers. While the full impact of the storm is uncertain, we hope all remain safe and can quickly recover. Cotton Global Disaster Solutions is on the ground in the Carolinas and providing critical services to help the region recover, reduce business interruption and assist clients with their business continuity plans. The storm has been on the company’s radar for weeks through its 24/7 Emergency Watch Center, closely tracking its development and landfall while keeping clients alert of their safety and business continuity planning and implementation. While most were evacuating, Cotton deployed its full bandwidth of turnkey services - Disaster Recovery, Construction, Roofing, Logistics and Culinary along with strike and management teams to the region. When surfing the net, did you ever stop to think that someone may be staring back at you? As technology advances, more and more of our lives are intertwined with the internet through online shopping, banking, email communication, social media, and more. 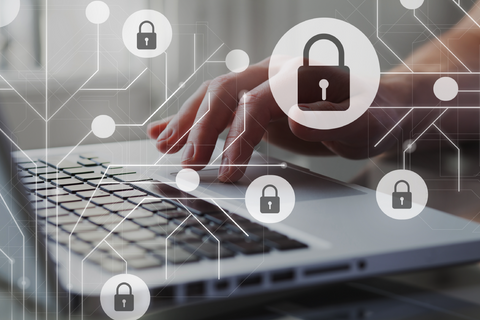 Being proactive provides the greatest protection against online threats. ● Recognize that you are an attractive target to hackers. ● Practice good password management: 8 Character passwords are no longer sufficient. It’s best to use a long nonsensical mix of characters, numbers and symbols. ● Use a unique password for each of your accounts. ● Never share your passwords. Never write it down. Use a password manager such as LastPass or Dashlane.